as is the way I wear my hair and how I take my tea. I partnered with ApotheCARE Essentials for this post. Thanks for reading! The aroma of jasmine tea would be the first thing I’d wake to, when my grandfather would brew his fresh cup every morning and placidly flip through the crinkling newspaper. As I sat with my breakfast porridge, my mother would saunter downstairs three minutes before we’d have to leave for school, carrying with her a waft of elegant white flowers topped with the note of warm jasmine. On those late summer nights sneaking out of my room, I’d creep past the jasmine vines that grew outside our house and bloomed in the moonlight. My nostalgic affection has bound jasmine as a part of my existence and daily ritual. 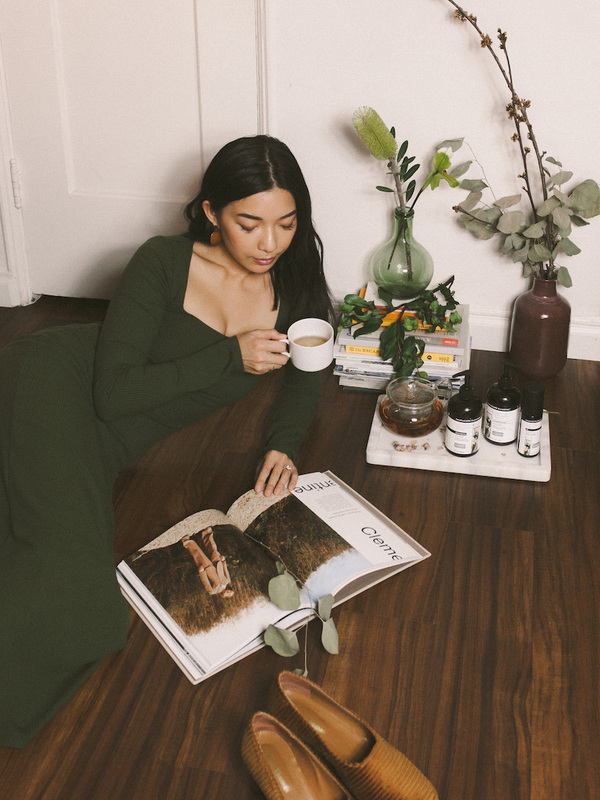 I brew my pot of jasmine tea before I sit down and do anything else; I never leave the house without a few sprays from my vanity of jasmine perfumes; my workspace is crowded with vases of various white florals like tuberose, hellebores, and the occasional jasmine vine I can find. When there’s a beauty product that centers around jasmine, I am a sucker for it. 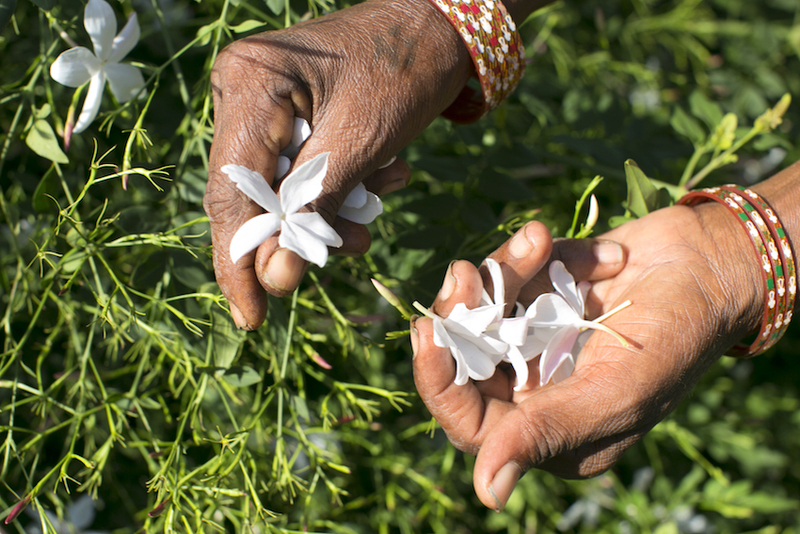 Precise Selection: the brand’s team travelled all the way to India to precisely select the beautiful white jasmine flower during peak harvest. Next, they captured the fragrance at its best with their Phyto-Extraction Technique. 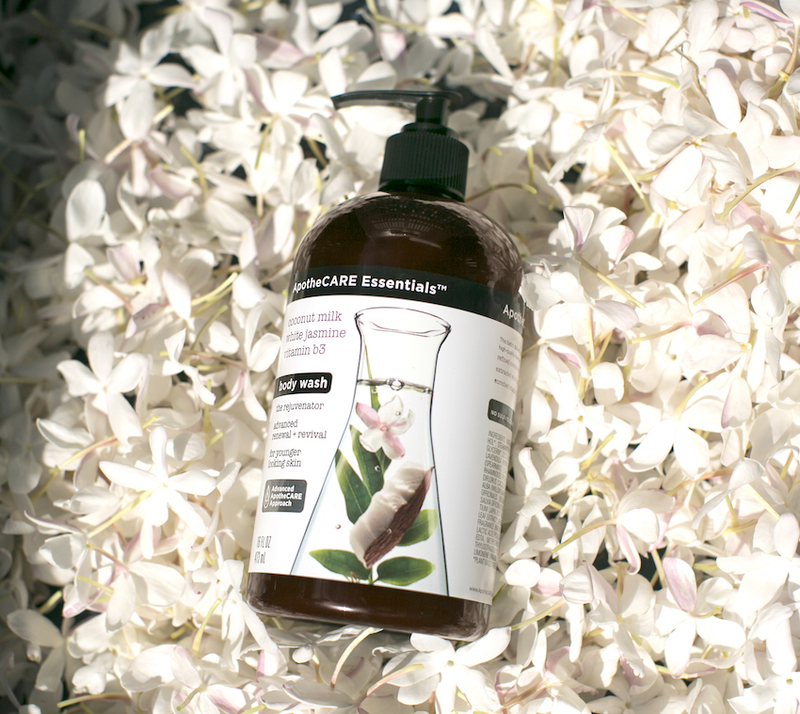 Lastly, ApotheCARE Essentials combines the white jasmine with other ingredients known for their beauty benefits from apothecary traditions and distills each ingredient gradually for the highest quality blend during their Unique Slow Infusion Process. Out of all this comes a beauty ritual that tells a story of romance and lingering nostalgia in its warm, delicate scent of white jasmine. The Mender Collection’s jasmine fragrance is one of the best I’ve come across, as it captures the sophisticated essence of the white jasmine flower, without additional distracting notes that could make it either too sweet or unbearably overpowering. ApotheCARE Essentials understands and delivers the real scent of jasmine I’ve always remembered from my childhood. 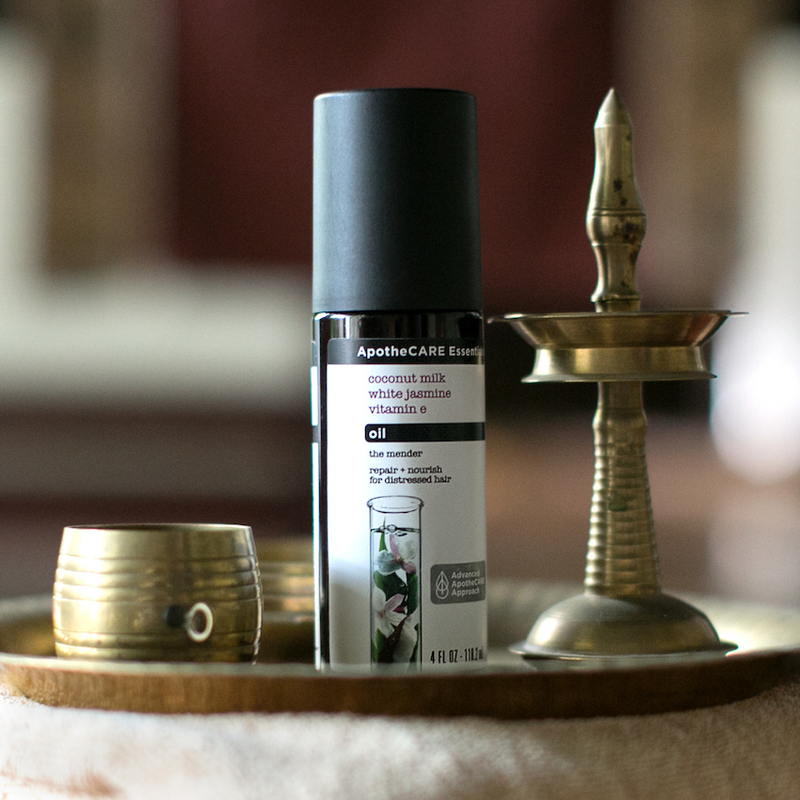 I find it especially fascinating and inspiring that ApotheCARE Essentials goes to great lengths to discover and precisely select the best ingredients from around the world and in turn, instill worldly traditions and beauty secrets into each of their products. Jasmine is a longstanding staple in Indian beauty, especially in the cultural tradition of hair oil: mothers often massage oil into their daughter’s hair because long, shiny hair is considered a symbol of beauty. The Mender Collection’s hair oil is a beautiful, inspired formulation and it’s my favorite product out of the collection, because it leaves my hair so soft and shiny when I use it daily. I appreciate that there is a piece of heritage I can relate to with this collection as my father and his family are from India and I’ve spent some time in my early childhood in the country, learning their intricate customs and culture. There are so many ancient secrets to beauty that stand the test of time; jasmine today is as essential as ever for beholding elegance in one’s beauty. 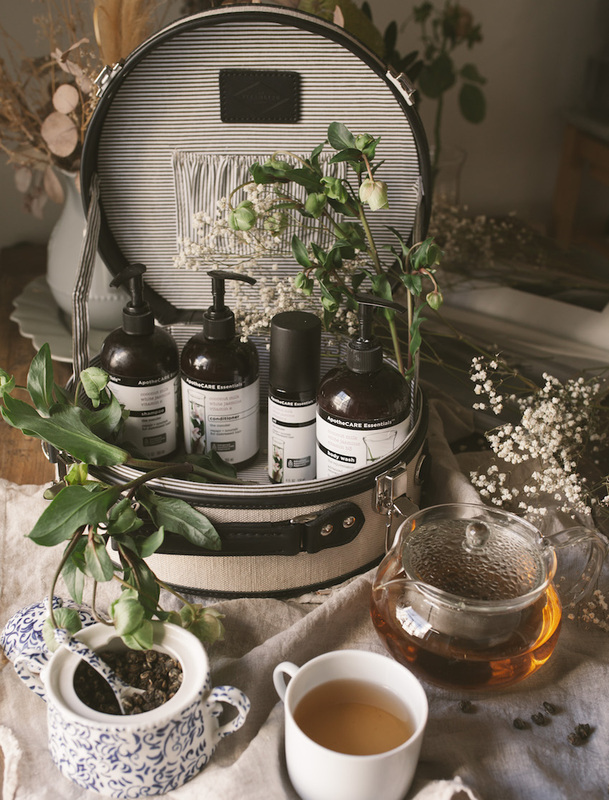 ApotheCARE Essentials’ The Mender Collection also features an amazing shampoo, conditioner, and body wash and I’m thrilled to bring the beautiful jasmine ritual to my bath moment. look at that color combination, just amazing, i think i would try with a little feminime color with some of them, btw amazing work, keep it up.